Amsterdam is one of the European cities that I would love to visit. In fact there are many that I hope to get the chance to go to over the coming years, so far, my travels to Europe have been limited to Paris, France and Bruges, Belgium. Before going away for a weekend or longer holiday, I always do a bit of research for things to do in the place that we are visiting. We are a family (and a couple) who don’t really like to stay still when on hols, and prefer to be out and about – it’s the reason why we don’t do beach holidays, we find them too boring! 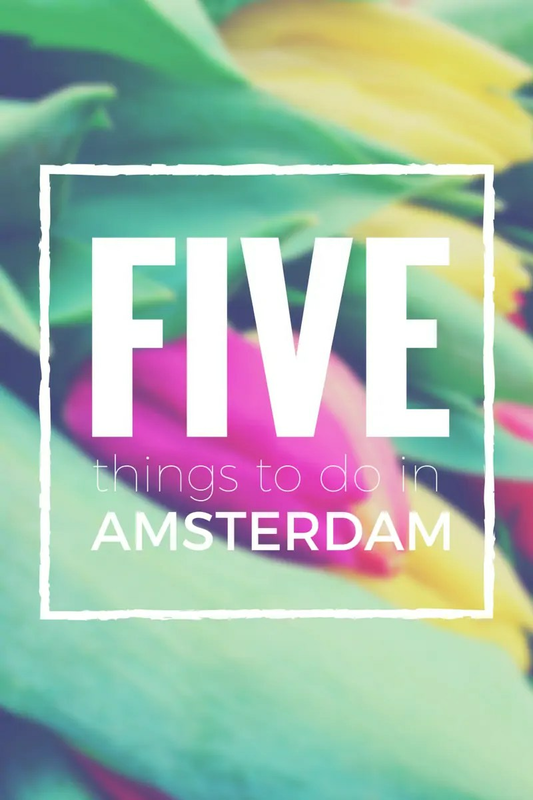 I’ve been checking out some of the attractions, and put together a list of 5 things to do in Amsterdam. If you’ve been before (or live there) let me know if I’ve picked well! When I think of Holland, the first thing I think of is tulips! They’re such a beautiful flower and I’ve always wanted to see the colourful tulip fields in Holland. Little did I know that the Keukenhof gardens has more than 7 million bulbs in bloom this spring, with a total of 800 varieties of tulips. What a gorgeous sight that must be! Makes me want to book cheap flights from Flybe and get out there as soon as possible so that I can see this in real life! 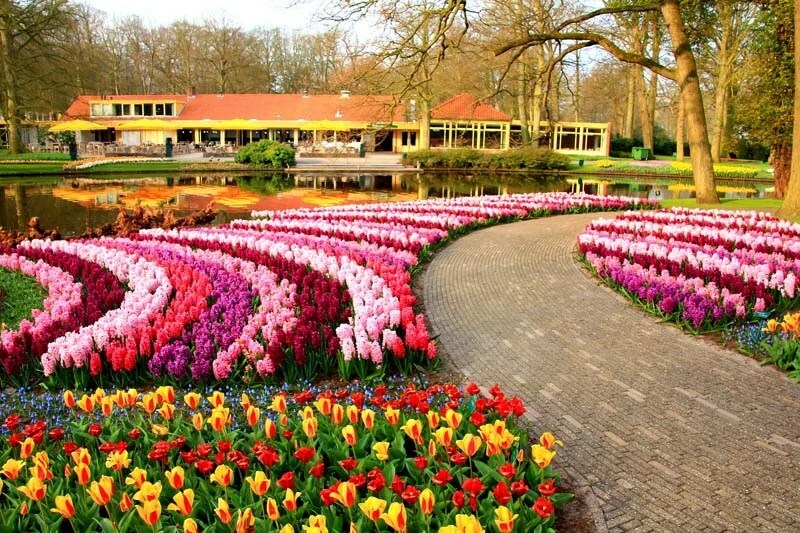 Keukenhof has 32 hectares of flowers and several gardens to explore including the Amsterdam Canal Garden, the Romantic Garden, the Historical Garden and even a Selfie Garden, where you can take an awesome selfie! Keukenhof is about an hours drive through the countryside from Amsterdam – coach tours are available to transport you. There are places to dine and shop, flower shows, events and more, so, to me, it looks like a perfect day out. Keukenhof is open from March to May, and tickets cost €16 for adults and €* for children 4-11. Under 3s are free. Please do check their website for up to date information, and also thanks to their lovely gallery of images that I was able to share this gorgeous photo. A bus or boat tour is one of the easiest ways to see a city – especially if you are pressed for time, like on a weekend break. 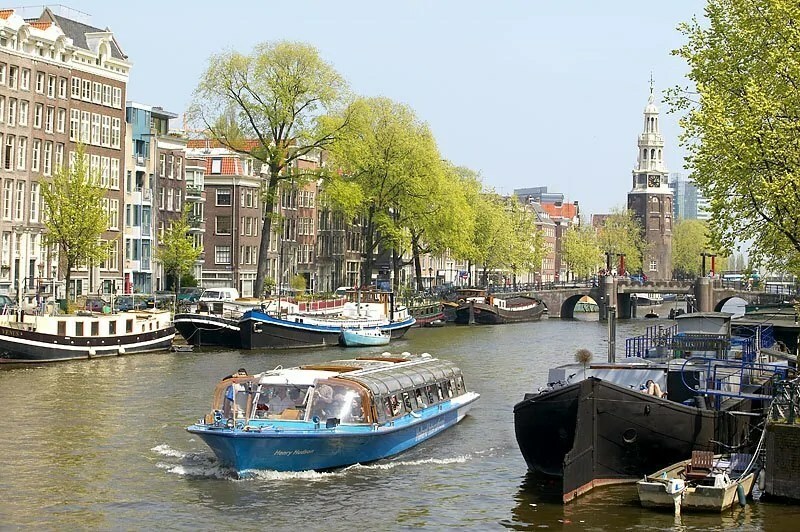 You’ll find both cruises and hop-on-hop-off canal boats that will enable you to see the sights of Amsterdam. We have done bus tours and river cruises in London and Paris, both were fantastic, and I highly recommend this way of seeing a city. I’m sure you’ve heard of Anne Frank – the young Jewish girl who had to go into hiding during the Second World War to escape the Nazis. She kept a diary of her time in the secret annex, and had hoped it would be published as a novel after the war…sadly, she was discovered with her family and the other people in hiding, and only her father survived the concentration camps and had his daughter’s diary published as per her wishes. The museum which is the house where Anne Frank was in hiding in the secret annex has grown over the years since it opened to the public in 1960, to accommodate the large number of visitors (some 1 million a year). Buying tickets in advance is advised, as the museum is very busy. Tickets currently cost €9.50 for adults and €5.00 for children 11-17, children under 10 are €0.50. Of course, there are other museums, including the Van Gogh Museum and the Amsterdam Museum – we love discovering the historical side of a city when we visit. I never understand why people go abroad and not try the local cuisine! I’ve discovered that you can go on a food tour and pub crawl around Amsterdam, with your guide taking you to local eateries and drinking establishments where you can sample what Amsterdam has to offer. I’m pretty sure we would also have to visit the Heineken Experience, the former brewery that has been turned into an interactive experience. My husband does love to sample different beers, so this would be perfect for him! I don’t think I could visit Amsterdam without at least a passing through of the infamous Red Light District – De Wallen. Whilst it is best know for the prostitutes touting their wares from the red lit rooms that line the streets, the city is trying to clean it up and introduce more trendy bars, cafés and restaurants. It’s one of those places that I would feel like I’ve not seen it all in a city break without visiting! Oh, and there are walking tours available in the Red Light District too, which includes not only the eye-opening stuff, but the juxtaposition of grand old buildings and monuments. 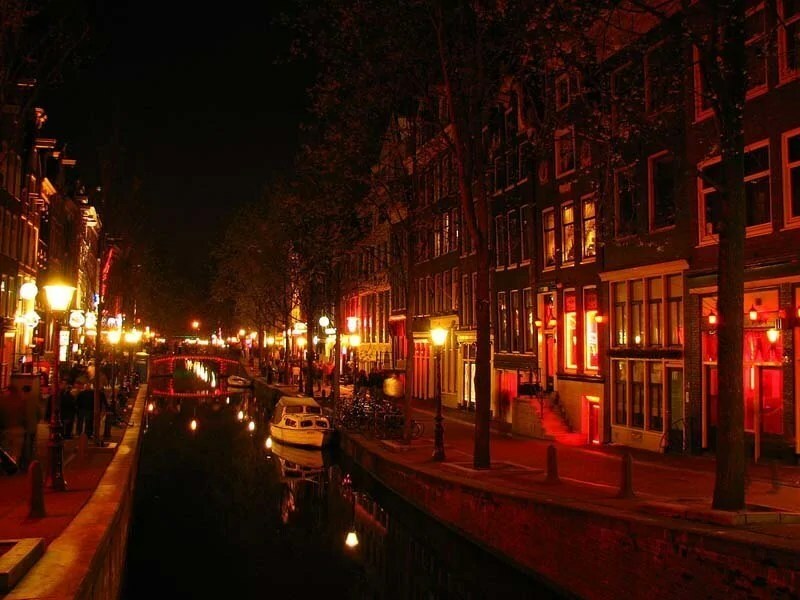 Check out The Best of Amsterdam’s Red Light District Nightlife compiled by HotelsCombined to complete your Amsterdam experience. I’ve no doubt missed lots and lots of other places and things to do in Amsterdam, but this small selection is a starting point for a weekend city break! Have you been to Amsterdam or planning a visit? What would be on your list of things to do? I imagine it would be interesting, yet very humbling at the same time.